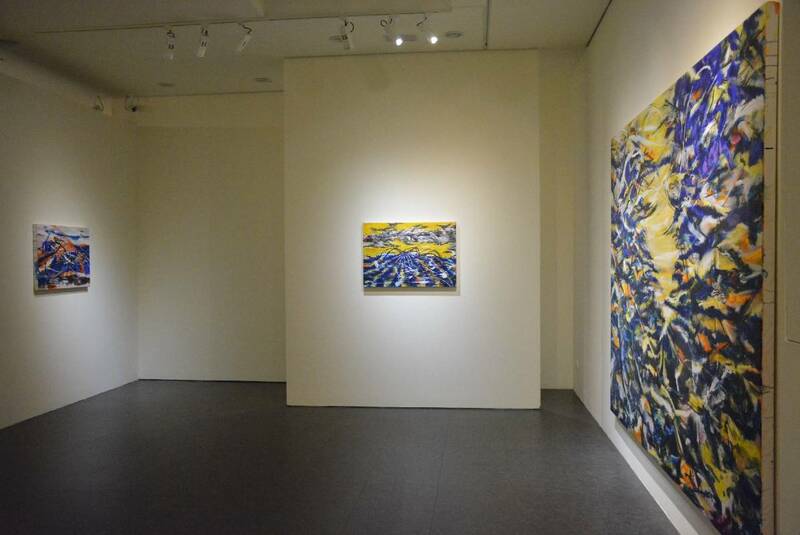 Suling Wang’s experience of travel and living abroad has led her to explore her own sense of cultural location and distance, through a formal appreciation of both Eastern and Western aesthetics, including the principles of Chinese landscape painting and the methods and ideas of European and American abstraction. 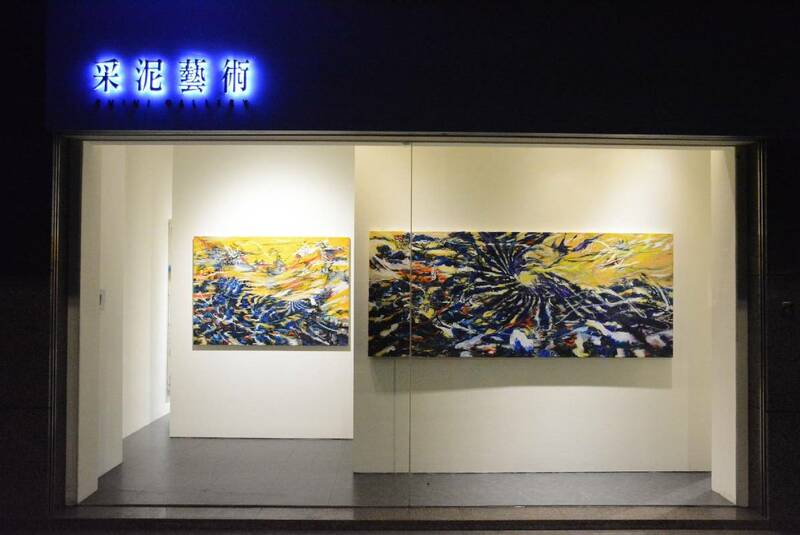 The result is a positioning between aesthetic concepts, which influences her approach to making paintings and draws on both traditions, while deconstructing aspects of their visual language. 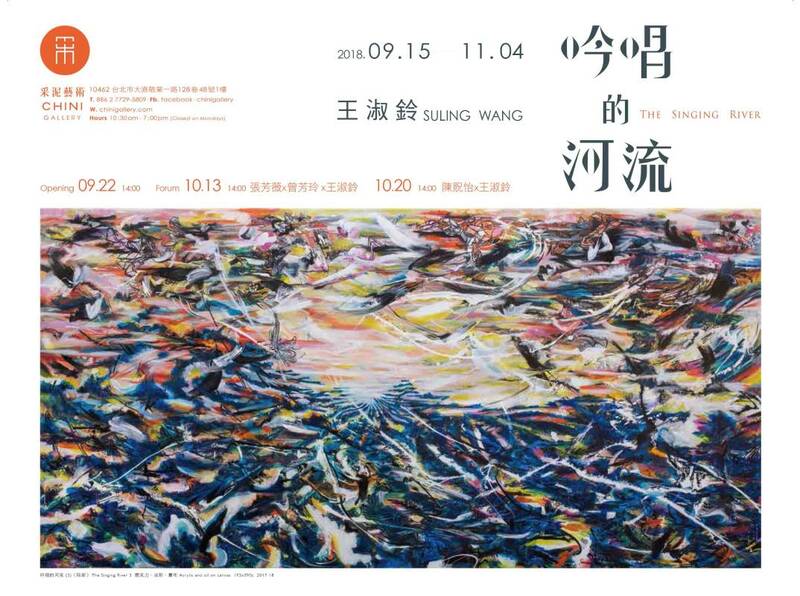 In this exhibition, the artist presents paintings from a series titled The Singing River. 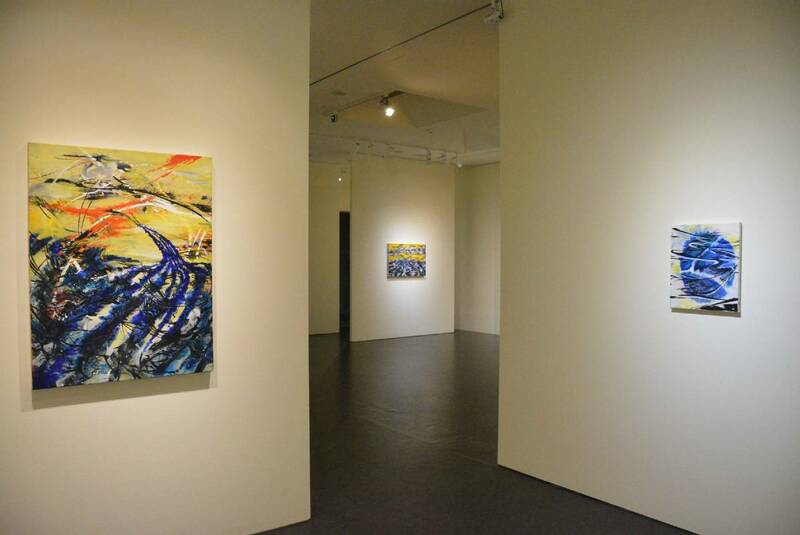 This series expands on pictorial themes and motifs that relate to the large 9 metre painting, The Singing River 2, commissioned and recently installed in the permanent collection of the new building of the American Institute in Taiwan, Taipei. 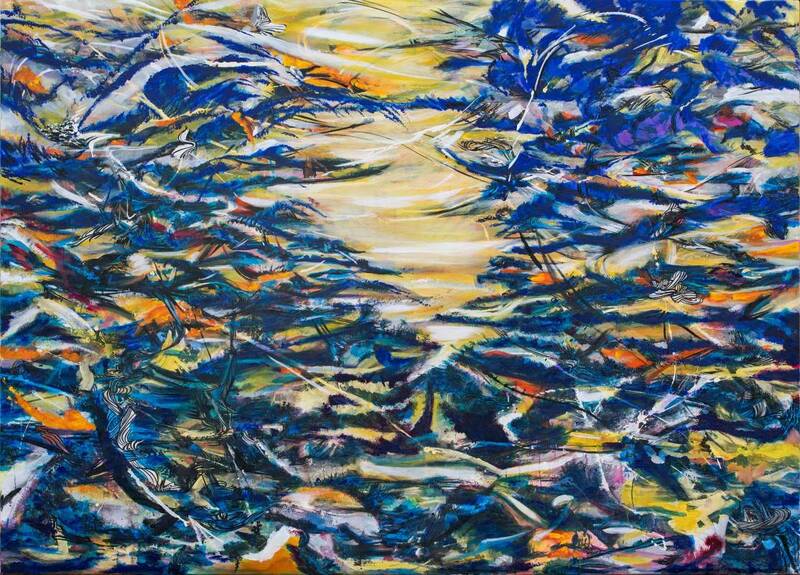 The paintings in the series are strongly influenced by the local landscape of her childhood and how it has changed and experienced now. 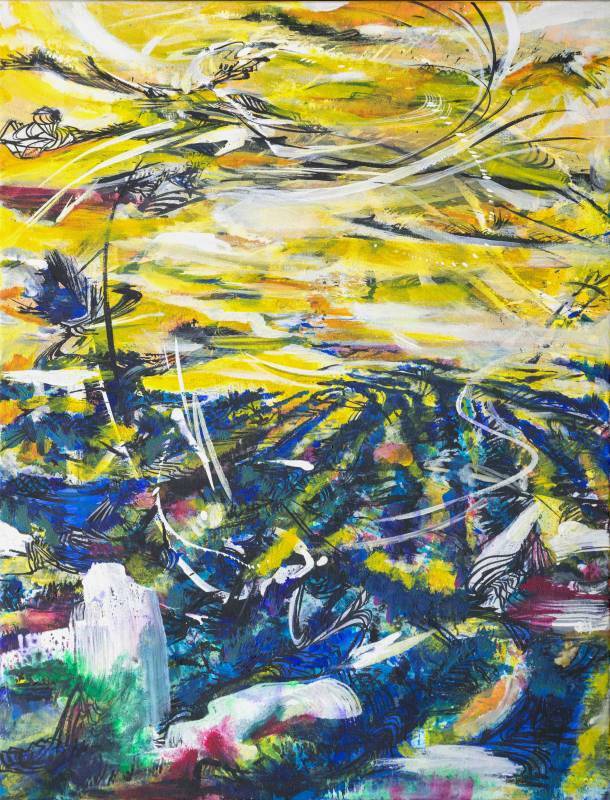 This theme is explored through a direct approach to mark making and gestural abstraction, creating rhythmic compositions, which relate to the subject of the human presence in the space of the landscape and the forces of nature as they are experienced over time. 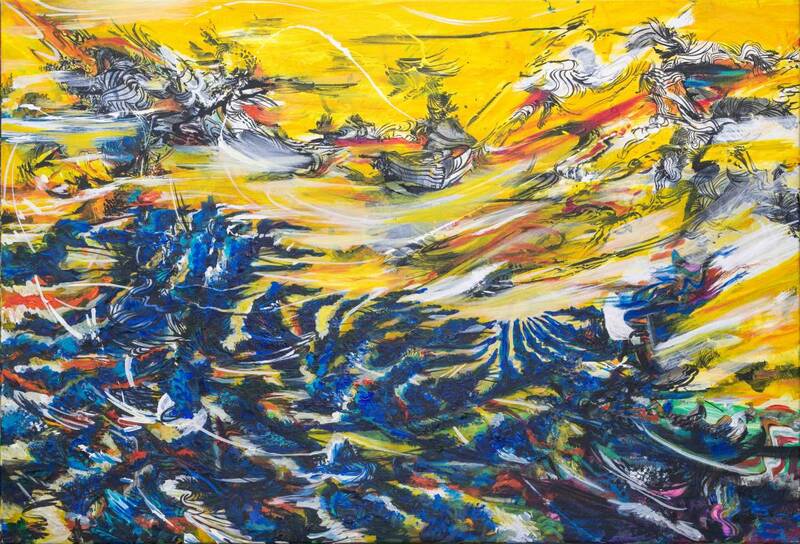 Suling Wang was born in rural Taichung, Taiwan. She completed her B.A. at Central Saint Martins in London, UK in 1997, and then received her M.A. from the Royal College of Art in 1999. 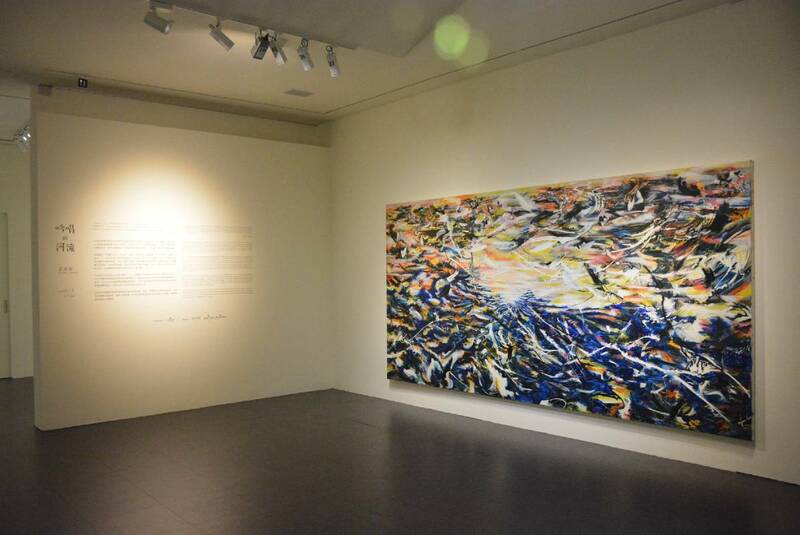 Since then she has exhibited widely in museums and galleries in several countries across the world and has been included in exhibitions at The National Gallery in London in 2006, Houston Museum of Fine Arts, USA and National Gallery of Victoria, Australia in 2007. She now divides her time between studios in London and Taichung. 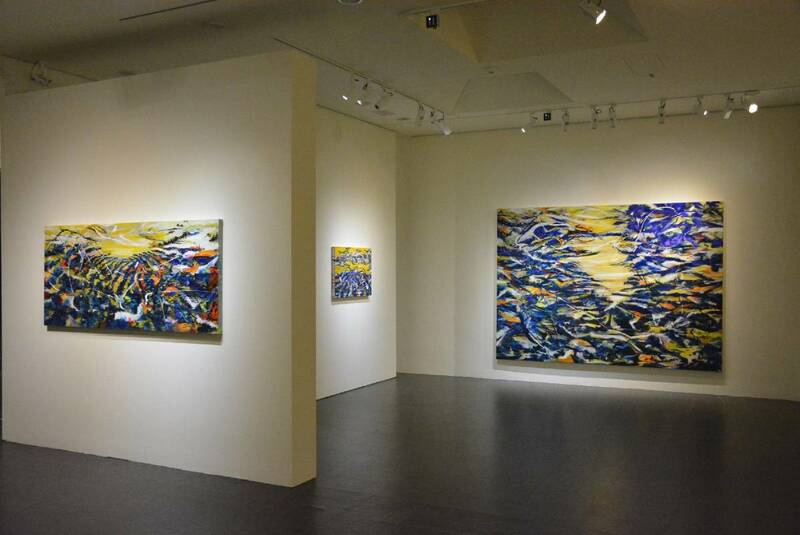 Suling Wang’s work can be found in the permanent collections of many important public collections including Solomon R. Guggenheim Museum, New York, Museum of Contemporary Art in Los Angeles, Utah Museum of Fine Art, Cincinnati Art Museum, USA, and The American Institute in Taiwan, Taipei, Art in Embassies, US Department of State.